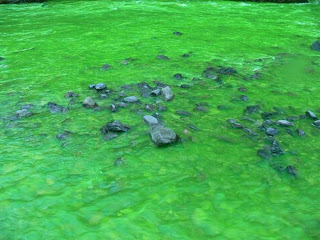 You are not hallucinating. 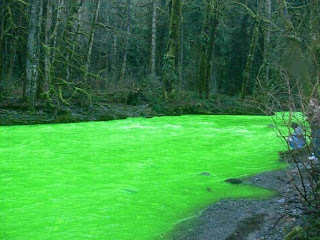 This river is truly of emerald green color. 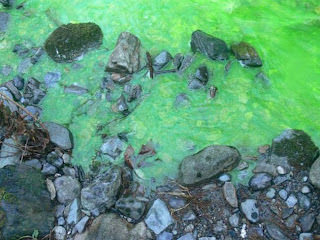 This absent-colored river is running in Goldstream Park, Canada. 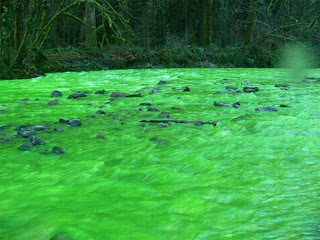 Its waters turned neon green on December 29, 2010. 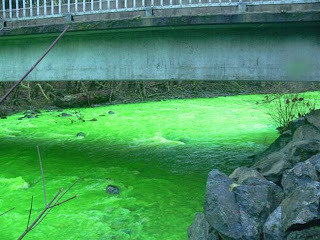 People couldn’t believe their eyes. 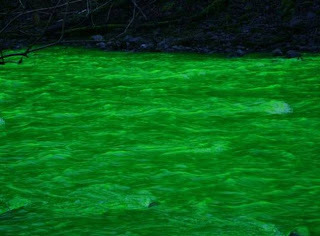 They thought it was just an illusion. 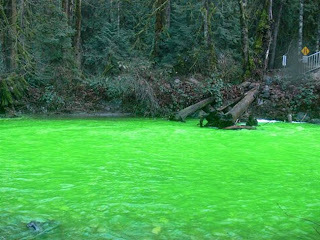 And though it wasn’t, the weird emerald green coloring disappeared after a while leaving many questions unanswered. 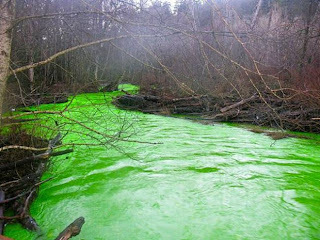 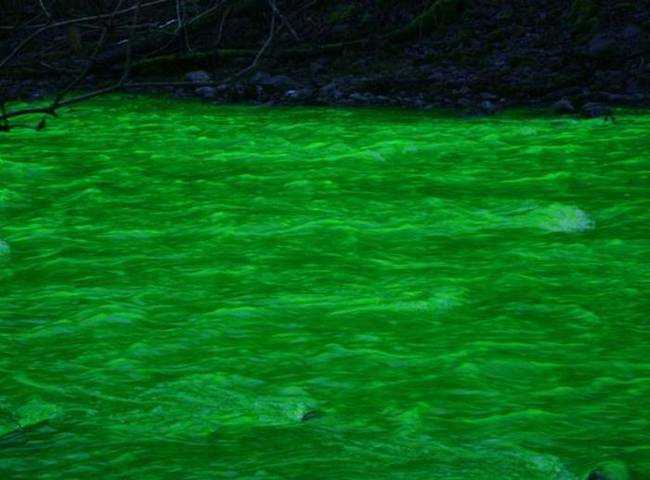 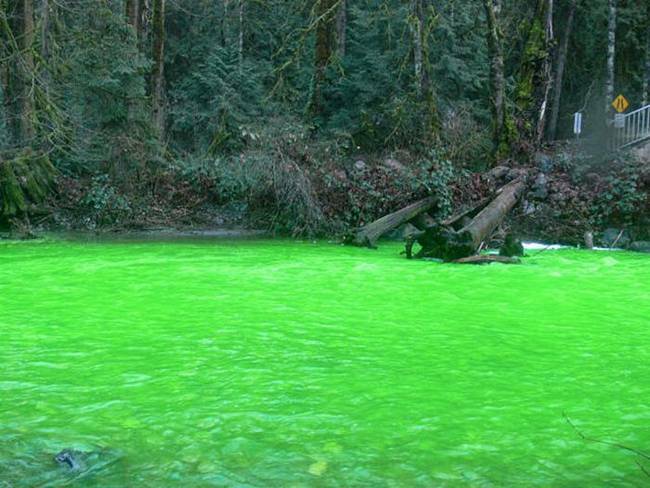 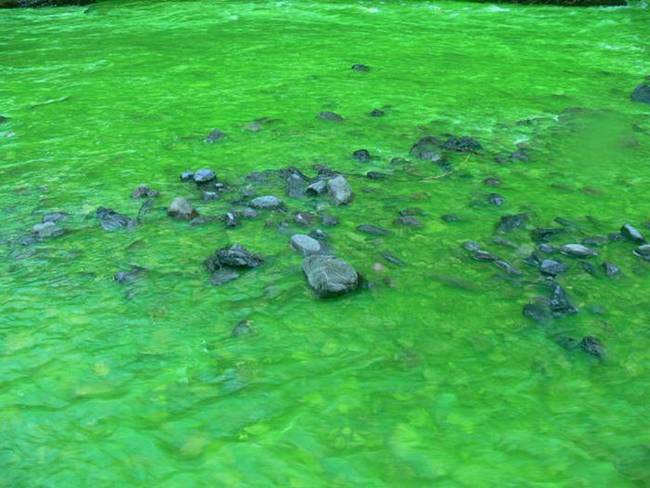 According to the local Environment Ministry, there was a chemical reaction in the water known as “fluorescein”. 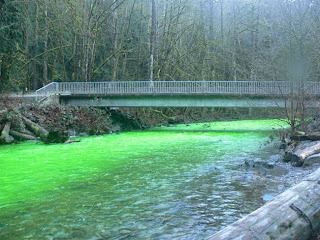 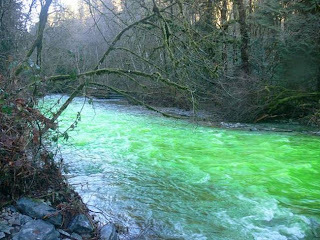 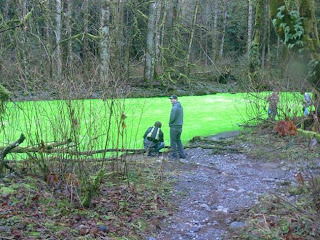 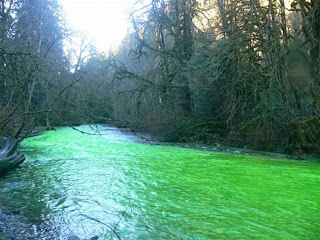 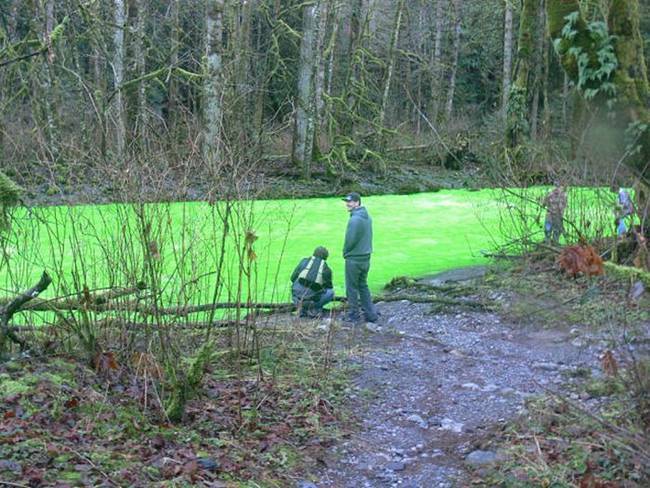 They believed that somebody dumped fluorescein in the Goldstream River to make a holiday season joke, but that substance wasn’t toxic and fish along with the habitat weren’t affected.